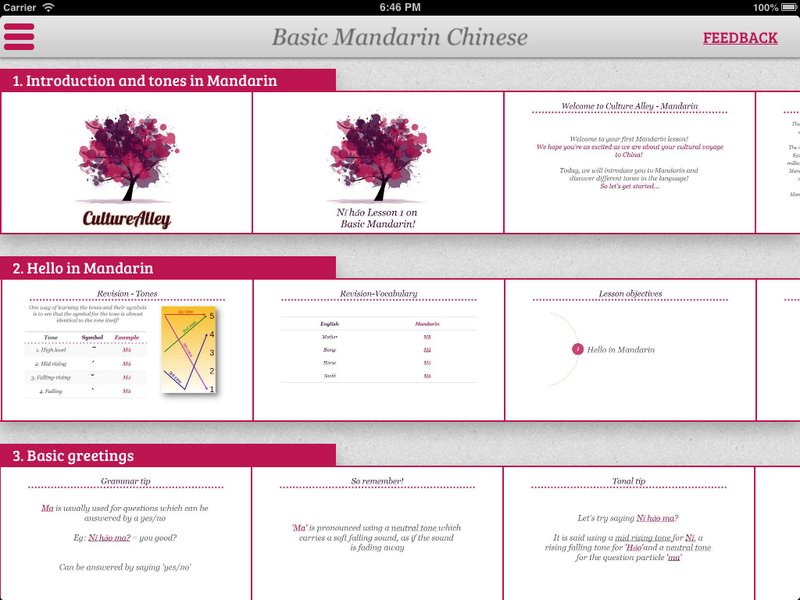 CultureAlley Chinese App for the iPad is live! Stop mugging up Mandarin Chinese. Say hello to the only app that explains you the logic behind Chinese conversations. The ‘Learn Chinese with CultureAlley’ App for the iPad is available for free download on the App Store. More than 300,000 learners have loved our audio-visual lessons across the globe! Before you wonder if we are just another Mandarin Chinese App – No, we won’t give you mindless flash-cards – No, we won’t make you mug up phrases in a way that you can never have your own conversation! We want you to converse in Mandarin Chinese, not become a phrasebook! More than 300,000 people across the globe love us! Discover the easiest way to pick up Mandarin Chinese. – learn using CultureAlley’s Chinese App for the iPad! The ‘Learn Chinese with CultureAlley’ App for the iPad is available for free download on the App Store. Download now from the App Store! See you at the Alley – Now on the iPad!